CommutAir is a regional airline in the United States. Founded in 1989, CommutAir is an airline based in Plattsburgh, New York, USA but soon relocated to Cleveland. 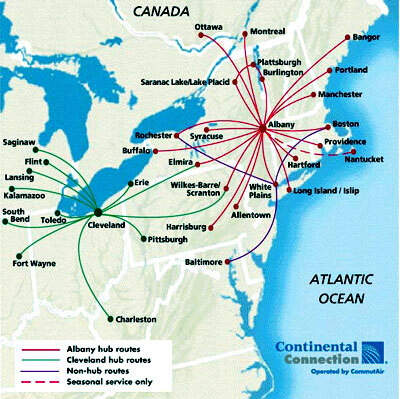 It's primary hub is located at Hopkins International Airport where most of its flights originate from.Being an alliance of Continental Airlines, CommutAir operates under the name of Continental Connection. The US airline company has scheduled flights which mainly serves destinations in the Northeast and Midwest United States. 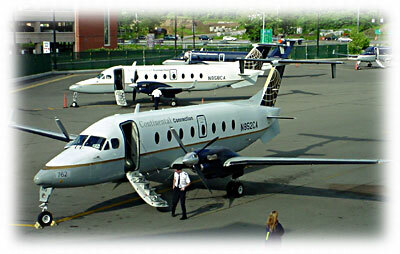 CommutAir passenger fleet's aircraft models include 5 Raytheon Beech 1900D Airliner and 10 Bombardier Q200. CommutAir serves the following domestic cities.